HELLA BUTTER *SPOILERS* REVIEWS: WAR FOR THE PLANET OF THE APES! 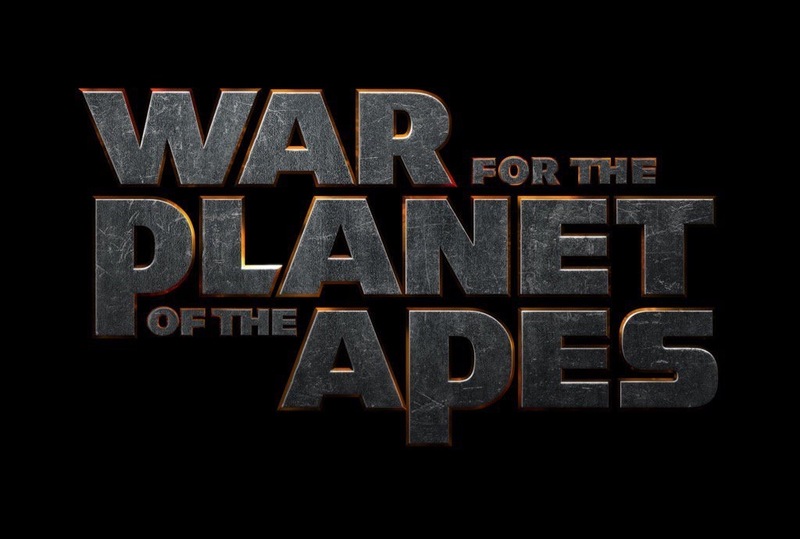 Synopsis: Caesar and his apes are forced into a deadly conflict with an army of humans led by a ruthless colonel. After the apes suffer unimaginable losses, Caesar wrestles with his darker instincts and begins his own mythic quest to avenge his kind. As the journey finally brings them face to face, Caesar and the colonel are pitted against each other in an epic battle that will determine the fate of both of their species and the future of the planet. Plot: The rebirth of the Planet of the Apes franchise has to be one of the best stories of modern day cinema. It all started with Rise of the Planet of the Apes, then went to Dawn of the Planet of the Apes, to finally – War for the Planet of the Apes. War finally concludes the story of Caesar that began in 2011. Andy Serkis, aka the motion capture God, does a brilliant job telling the story of Caesar and the beginning of his revolution. 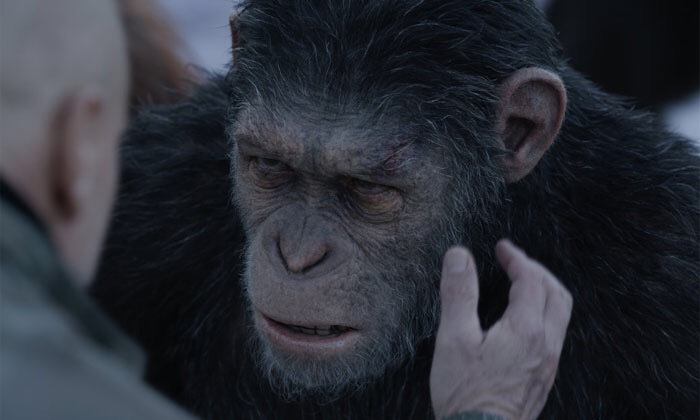 It’s more than just putting on a suit with a bunch of ping pong balls recording your movements – Serkis is the voice, the body language, the facial movements, and the soul of the character. I have been such a fan of this new Apes franchise, that I prayed this movie would just be “good enough” to solidify this as a good trilogy. Instead, War for the Planet of the Apes knocks it out of the park and what we got is one of the best trilogies in movie history. This review will have spoilers so beware. The movie picks up a few years after the events of Dawn. The Simian Flu has killed about 90% of the world’s population, and the Apes are sill in hiding. As you know from previous movies, all Caesar wants is for his group to live in peace. 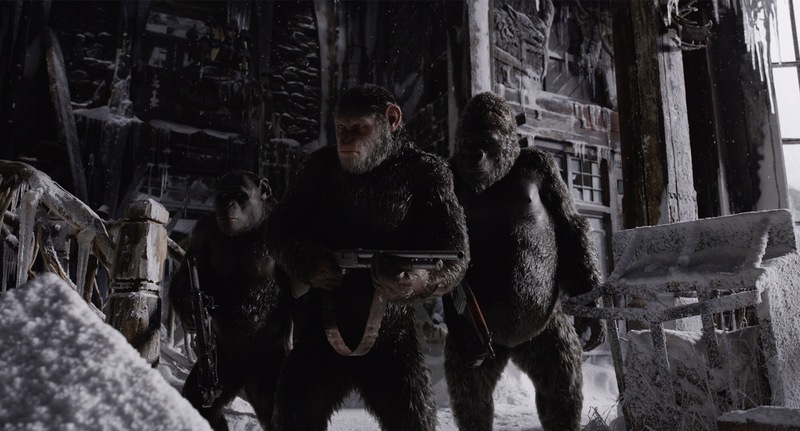 The opening scene of War gives us a very intense war battle between an army of people(Alpha-Omega) and the apes. This is exactly what I thought the movie would be like. But to be honest, this was probably the most violent scene in the whole movie. We don’t get another huge action scene until the end, and that still didn’t compare to the opening. So, I will say the movie wasn’t what I expected walking in, but that isn’t a bad thing. It was very sad to see Caesar’s family get killed in the beginning by The Colonel(Woody Harrelson). Usually, you can see that type of stuff coming, but it actually caught me by surprise. Especially since I loved the character of Blue Eyes(Caesar’s oldest son) in Dawn of the Planet of the Apes. Woody Harrelson does a great job playing the villain in this film. He shows no remorse or compassion to the apes, and wants to wipe them all out. It’s crazy when you realize that the humans are the villains because if this was real, we’d obviously be on The Colonel’s side. But, that just shows you how good of a job the filmmakers did in showing the emotion and heart of the apes. Director Matt Reeves(who also directed Dawn) does a fantastic job in storytelling and ending the trilogy on a high note. I have no doubt that if Warner Bros. gives him the freedom on Batman that he had on these last two films, the Dark Knight will be in good hands. Although War for the Planet of the Apes is a big summer blockbuster, Reeves never forgets to put the story first before anything. Another thing I was surprised about was how much screen time we spent with Caesar and his group. 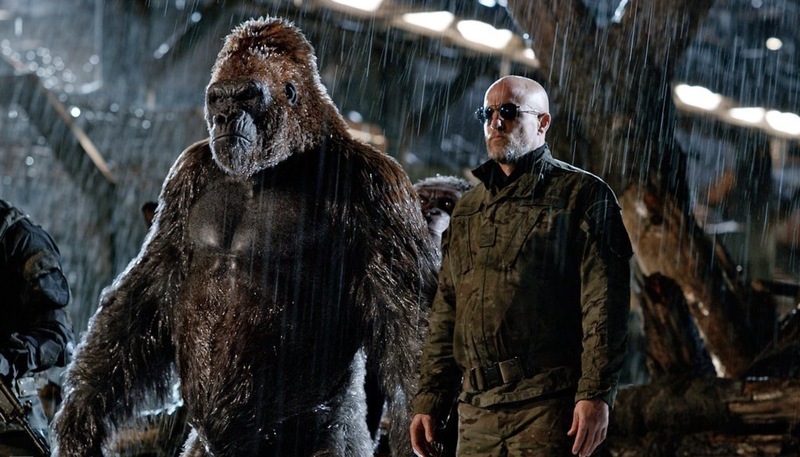 Rise of the Planet of the Apes centered around both James Franco’s character and Caesar, and the same can be said with Dawn and Jason Clarke’s character. We don’t get too much time with The Colonel in this one. The movie centers around the journey of Caesar and his group trying to save his fellow apes, and plotting his revenge for his family. We are introduced to a young mute girl who was later given the name Nova(played beautifully by Amiah Miller). At first we were to believe that this character of Nova would be the same as the character from the 1968 film, but filmmakers have said it is a different person. All they did was introduce the name “Nova” into the lore. To see the apes, especially Maurice, take her in as one of their own is a lovely site. I believe Caesar chooses to keep her around because she is a reminder that not all humans are horrible people. We are also introduced to the comic relief, an ape that already learned to talk on his own called Bad Ape(played by Steve Zahn). He did make me laugh on several occasions, so good job Mr. Zahn. Although the final battle was a little bit anti-climactic, War for the Planet of the Apes is a beautiful film. The final scene had The Colonel’s army face off against the other last remaining humans in an all out war. I guess the filmmakers had to find a way to get all of the surviving humans in one area to kill them all off, since the Apes one day rule the world(obviously). Putting that aside, the visual effects might be the best I have ever seen in a movie. If we didn’t believe the apes were real, this movie(and series) wouldn’t have been taken seriously. The technology has gotten even better since Rise. Of course, we get the touching ending where Caesar leads his colony(to what I believe will end up being Ape City) to freedom. There, we see him hurt from a wound he got from the final battle scene, and then dies peacefully next to Maurice. It’s like he can die in peace knowing he did what he set out to do – make sure all apes are safe and in peace. It was a fitting ending to his story and I hope Andy Serkis can come back in future movies as a whole new character. Caesar’s baby son Cornelius does survive, so his bloodline is still out there and alive. I’m sure future films will folow his story. War for the Planet of the Apes puts this new Apes trilogy up there with The Lord of the Rings and Toy Story trilogies. Even in other great trilogies that you can think of(The Godfather, Matrix, Back to the Future, Nolan’s Dark Knight trilogy), there is always a weak link(or links) in it. This Apes trilogy doesn’t have a weak entry. Sure you can rank them from what you think is best to least, but whatever you pick as third, that movie is still great. If they decide to do a 4th film, I hope they pick a director who cares as much about the franchise as it’s past directors. These will always be blockbusters, but the story should always come first. Thank you for giving us a beautiful ending to the trilogy, and also the best film of the year(so far). I’m giving War for the Planet of the Apes a 9/10. ← Go behind the scenes of Star Wars: The Last Jedi!